Thanks for your interest in becoming a Prayer Coach Sponsor. The Prayer Coach blog exists to lead people into the heart of our Heavenly Father. This blog has been around since 2009 and has become a popular search website. The PrayerCoach twitter account sends out encouraging prayer quotes for its followers. You can view the readership stats on the right sidebar for the most updated stats. 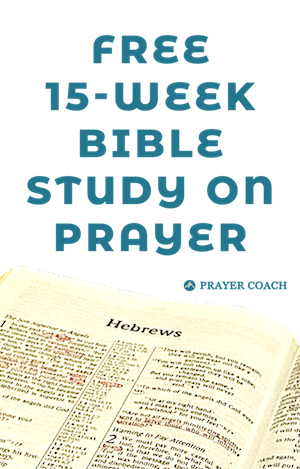 The readership, links and referrals to Prayer Coach continue to grow and currently has around 7,000 monthly visitors. We would love to have you, your business or non-profit organization as a Prayer Coach Sponsor. The Sponsorship Goal is for your advertisement to be mutually beneficial to this blogging community and to your business. Note: For the article sponsorship, the price will vary depending on the viewership and search ranking of the article in question. It is the responsibility of the sponsor to provide all advertising content. Advertising content shall be in the specified dimensions of the purchased sponsorship package. Prayer Coach is not responsible for errors in content submitted by sponsor. Prayer Coach is not responsible for any claims or liability that are a result of sponsor advertisement or content submitted. Advertising content must be provided at least 7 days prior to beginning date of sponsorship package. Prayer Coach reserves the right to reject, deny or request changes to any sponsorship request or content submission. Sponsorship rates are subject to change, however sponsors may secure the current available rate for additional months by signing up for one of Prayer Coach’s multi-month sponsorship discount packages. Payment is due in advance of sponsorship package beginning, unless otherwise pre-approved by Prayer-Coach. Payment method shall be check to Josiah’s Covenant or by PayPal. Invoice will be issued upon the securing of sponsorship package. Late payments or failure to pay may result in cancellation of sponsorship package and removal of advertising spot. Sponsor is responsible for any remaining sponsorship agreement. All cancellations must be requested in writing at least 14 days prior to the last day of sponsorship month or 14 days prior to the last day of sponsorship package for multi-month packages. This is so we can hold your spot for the next month or let others in your place. Sponsors are liable and responsible for the entire period of agreed upon package. If you like what you have read and would like to become a sponsor, use the contact form below. You may also ask questions on this form.